Here is a HANDY GUIDE for using Bitcoin to pay for travel. However, quantum computers don’t yet exist – and probably won’t for a while. In the event that quantum computing could be an imminent threat to Bitcoin, the protocol could be upgraded to use post-quantum algorithms. Given the importance that this update would have, it can be safely expected that it would be highly reviewed by developers and adopted by all Bitcoin users. Apparently, changing the Bitcoin protocol is not that easy. A bitcoin client must comply with the same rules as everyone else in order to enforce any rules. Double spending or spending bitcoins without a valid signature is not possible, therefore it isn’t possible to generate bitcoins out of thin air, spend another user’s bitcoins, or corrupt the network. Miners are individuals who maintain the public transaction log known as a blockchain. The system makes it profitable for miners to uphold the integrity of the system. There is a theory that has been proposed – a theoretical possibility with no evidence to suggest is real – of an attack that could grow as the result of a few selfish miners who seek to receive a disproportionate share of revenue. The theory goes that otherwise rule-abiding miners would then jump on the colluding bandwagon and tip the scales of justice until the Bitcoin currency is no longer decentralized. Again, there is no current evidence to suggest that selfish mining poses an immediate threat to Bitcoin, it is merely something to consider by developers who probe for security flaws in order to adapt to changes within the system and how users operate, so a regulation to a reasonable percentage of available resources could be implemented to thwart any potential selfish mining pools that crop up – and thus prevent the possibility of a small group of selfish miners from compromising the system. A majority of users can also put pressure for certain changes to be adopted. Bitcoin only works correctly with a complete consensus between all users, therefore changing the protocol can be very difficult and requires an overwhelming majority of users to adopt the changes in such a way that remaining users have nearly no choice but to follow. As a general rule, it is hard to imagine why any Bitcoin user would choose to adopt any change that could compromise their own money. There is also no way that someone could buy all the bitcoins. Firstly, there are only about 75% of all potential bitcoins in circulation. While 25 bitcoins are generated every 10 minutes, that number will continuously be halved over the lifetime of the system, thus all bitcoins will not be mined until about the year 2140. Additionally, not all bitcoins are for sale, as many have their own bitcoins in their own wallets and they are not used or sold. There is literally no way for one entity to obtain them all – just as it would be impossible to collect every dollar bill in the world. And even doing so would make the dollar bills – or bitcoins – irrelevant. I look at bitcoin as an emerging system to invest in for the long term – a free market that relies on the will of those using it. I expect it to be improved, tweaked, compromised, perfected over time – just as any digital system I’ve ever been involved with. It is, in my opinion, a first step in the right direction for the future. I want to be a part of it, from the beginning…like I was with the Internet. I was one of the first to use modems, then the Internet – and I’ve made a fine living (and continue to do so today) harnessing the power of the web. You have to make your own decision what – if anything – bitcoin represents to you. The rules of the protocol and the cryptography used for Bitcoin are still working years after its inception, which is a good indication that the concept is well designed. However, security flaws have been found and were fixed over time in various software implementations. Like any other form of software, the security of Bitcoin software depends on the speed with which problems are found and fixed. When issues are discovered, and fixed as a result, Bitcoin continues to mature. Thefts and security breaches that happen on diverse exchanges and businesses are often misunderstood and misconceptions are common. Although such events are extremely unfortunate, none of them actually involve Bitcoin itself being hacked, nor imply inherent flaws in Bitcoin protocol; just as a bank robbery does not mean that the dollar has been compromised. Following the last hack job in 2016, it was just another day in the market for bitcoin traders and, while the currency plunged at the time, those losses have been recovered since with bitcoin rising steadily. If you keep your bitcoin on an exchange or wallet provider online, there is always a risk of attack. If your local wallet is used, the situation is much safer; but you must pay careful attention that the private keys of your wallet are not exposed – that is how bitcoins are stolen. Hacking bitcoin is too difficult and hard; what hackers typically do is put a “trojan” in junk mail which a user opens, and when opened all the info about their wallet is stolen so funds can be transferred, usually to multiple accounts in order to avoid being tracked. This is common and can be easily avoided by simply not keeping a large amount of bitcoin in one account – and certainly not opening junk email, or clicking links in email from senders unknown to you. The Bitcoin technology itself – in other words, the protocol and the cryptography – has a strong security track record, and the Bitcoin network is probably the biggest distributed computing project in the world. Bitcoin’s most common vulnerability is in user error. Just as in real life, you secure and protect your “wallet” – a bitcoin wallet is no different, and if you don’t, your money can be stolen. Offline wallets, or cold storage, will deliver the highest level of security for your bitcoin savings. It involves storing your wallet in a secure location that is not connected to the bitcoin network or the Internet. If handled and setup properly, an offline wallet can offer very good protection against computer vulnerabilities. Using an offline wallet along with backups and encryption, while leaving a small amount of bitcoin for buying or selling in your online account, or in several online accounts, is a good practice. In the early days of Bitcoin, anyone could find a new block using their computer. But Bitcoin mining has advanced and is no longer the cottage-industry it was, having evolved to the point where specialized, high-powered machinery is required to profitably excavate bitcoins today. Yes, anyone can mine, but those with low-powered setups spend more money on the electricity required to run the equipment than what will be generated through their mining efforts. There is a wealth of information online regarding mining Bitcoin – but since that aspect of Bitcoin is of little interest to me currently, I do not spend much time researching it. Mining creates the equivalent of a competitive lottery, which in turn makes it very difficult for any one person/developer to consecutively add new blocks of transactions into the block chain. This protects the neutrality of the network by preventing any individual from gaining the power to block certain transactions. This also prevents any individual from replacing parts of the block chain to roll back their own spends, which could be used to defraud other users. Mining makes it exponentially more difficult to reverse a past transaction by requiring the rewriting of all blocks following this transaction. Bitcoin miners are neither able to cheat by increasing their own reward, nor process fraudulent transactions that could corrupt the Bitcoin network, because all Bitcoin nodes would reject any block that contains invalid data as per the rules of the Bitcoin protocol. Consequently, the network remains secure even if not all Bitcoin miners can be trusted. Bitcoin mining is the process of spending computing power to add transaction records to Bitcoin’s public ledger of past transactions or blockchain, secure the network by approving transactions, and keep all users in the system synchronized, ensuring fairness. Much like the Bitcoin data center, except designed to be fully decentralized with miners operating in all countries and no individual having control over the network. The ledger of past transactions generated is called the block chain as it is a chain of blocks. The block chain serves to confirm transactions to the rest of the network as having taken place. The primary purpose of mining is to allow Bitcoin nodes to reach a secure, tamper-resistant consensus. This process is called”mining” because it resembles gold mining, and it is also a temporary mechanism used to issue new bitcoins. Unlike gold mining, however, Bitcoin mining provides a reward in exchange for useful services required to operate a secure payment network. Mining will still be required after the last bitcoin is issued. Technically speaking, synchronizing is the process of downloading and verifying all previous Bitcoin transactions on the network. For some Bitcoin clients to calculate the spendable balance of your Bitcoin wallet and make new transactions, it needs to be aware of all previous transactions. This step can be resource intensive and requires sufficient bandwidth and storage to accommodate the full size of the block chain. For Bitcoin to remain secure, enough people should keep using full node clients because they perform the task of validating and relaying transactions. Can Bitcoin be received if my computer is powered off? Yes, your computer being on or off has no bearing on the receipt of a Bitcoin transaction. The bitcoins will appear next time you start your wallet application. Bitcoins are not actually received by the software on your computer, they are appended to a public ledger that is shared between all the devices on the network. If you are sent bitcoins when your wallet client program is not running and you later launch it, it will download blocks and catch up with any transactions it did not already know about, and the bitcoins will eventually appear as if they were just received in real time. Your wallet is only needed when you wish to spend bitcoins. What are the Bitcoin transaction fees? First, it is important to understand that every day hundreds of thousands of transactions are sent and received on the bitcoin network. These transactions need to be ordered and documented on what is called the blockchain, or the global ledger that references every bitcoin transaction ever made. Bitcoin miners (powerful computers that connect to and make up the network) decide which transactions to include, and in what order. This decision is based on several factors, but one of the most important is how big of a mining fee was included with a transaction. Each time a new block of transactions is added to the blockchain, the miner(s) responsible receive new bitcoins; that’s how bitcoins are created. The miner(s) also keep all the fees attached to the transactions they included in the block, and this is an incentive to include transactions with higher fees into their blocks. At some point in time, the actual bitcoin reward will halve (approx. every four years), so transaction fees will become more important in the decision of prioritizing transactions. Knowing how much of a fee to pay in order for a transaction to confirm as quickly as possible depends mainly on the size of your transaction. Every bitcoin transaction is just a bit of code that has a certain size – like any file on your computer that you might email someone, or upload to a server. The size of the transaction is not related to how much money you’re sending – but to other factors, and the larger the size of the transaction, the more space it takes up inside each block of transactions. More space it takes, the more other transactions will be left out, as the size of a block is limited. Hence, the bigger the transaction, the larger the fee you must pay in order to compensate for block space needed. Transactions can be processed without fees, but trying to send free transactions can require waiting days or weeks. 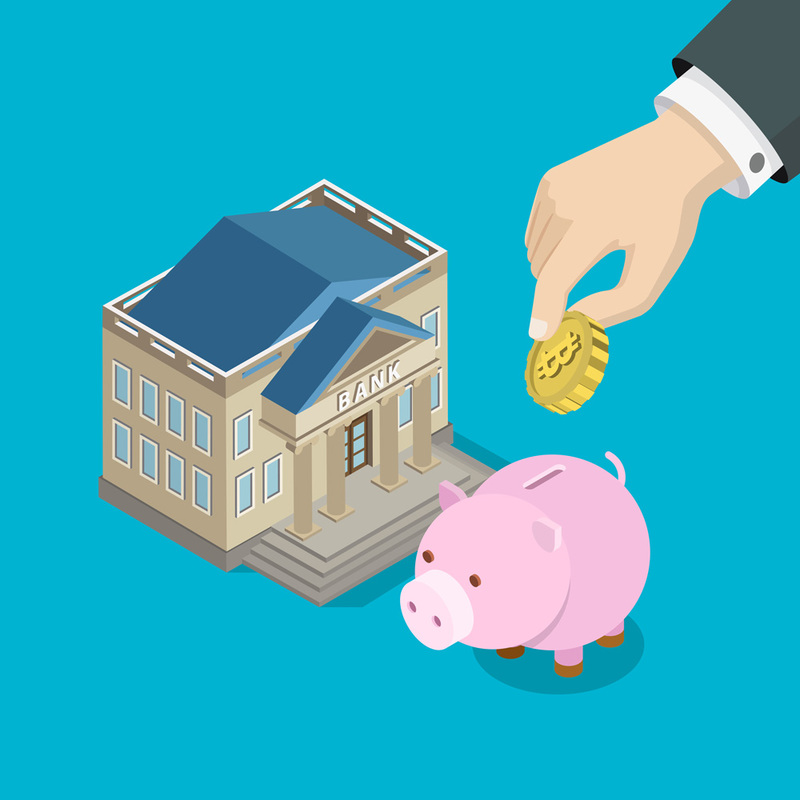 Although fees may increase over time, normal fees currently only cost a tiny amount. By default, all Bitcoin wallets services add what they think is an appropriate fee to your transactions; and they give you chance to review the fee before finalizing your transaction. Transaction fees are used as a protection against users sending transactions to overload the network; and as a way to pay miners for their work helping to secure the network. The precise manner in which fees work is still being developed and will change over time. Because the fee is not related to the amount of bitcoins being sent, it may seem extremely low or unfairly high, depending on the amount of your transaction. In reality, the fee is relative to the number of bytes in the transaction. If your activity follows the pattern of conventional transactions, you won’t have to pay unusually high fees. Why is there a wait for Bitcoin transaction confirmation? Receiving notification of a payment is almost instant with Bitcoin. However, there is a delay before the network begins to confirm your transaction by including it in a block. Online wallet services (like Blockchain) uses dynamic fees that calculate the required fee for you so that your transaction will confirm as reliably and quickly as possible. 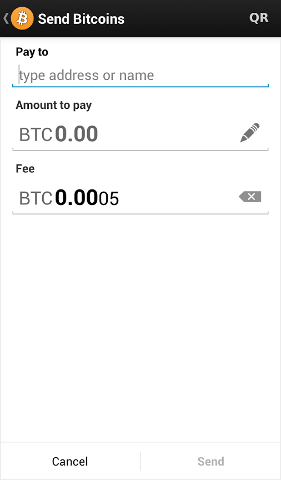 You also have the option to set your fees manually for some wallets. Before transactions get packaged into blocks and inserted into the blockchain they wait around in the transaction pool, also known as the memory pool (or mempool for short). Each transaction in the mempool has a certain degree of priority. The priority is based on the amount of coins sent (higher = greater priority) , the age of the coins (older = greater priority) and the transaction size (smaller = greater priority). A confirmation means that there is a consensus on the network that the bitcoins you received haven’t been sent to anyone else and are considered your property. Once your transaction has been included in one block, it will continue to be buried under every block after it, which will exponentially consolidate this consensus and decrease the risk of a reversed transaction. Each confirmation takes between a few seconds and 90 minutes, with 10 minutes being the average. If the transaction pays too low a fee or is otherwise atypical, getting the first confirmation can take much longer. Every user is free to determine at what point they consider a transaction sufficiently confirmed, but 6 confirmations is often considered to be as safe as waiting 6 months on a credit card transaction. What is important to understand is this: some transactions have such a high priority that they don’t even need any fees attached. The first 50kb of each of transaction space in each block is set aside for high priority transactions. Other transactions may sit in the mempool for a long time, mature, and then finally move forward in priority in order to be included in the next block. If your transaction becomes stuck, it will either sit there long enough to gain a higher priority, or it will get rejected and flushed out of the mempool within roughly a week (in most cases). Once it’s been rejected, you’ll be able to try re-sending with a higher fee. Some wallets will give you the option to resend a specific transaction with higher fees in case it’s not confirmed; however, if you use a wallet with dynamic fees, you can likely avoid this entirely. As a last resort, miners will sometimes have spare space left in their block and will include zero transaction fees on a best effort basis, but it’s not recommended to count on this method. What if a better digital currency emerges? For now, Bitcoin remains by far the most popular decentralized virtual currency, but there can be no guarantee that it will retain that position. There is already a set of alternative currencies inspired by Bitcoin. It is, however, probably correct to assume that significant improvements would be required for a new currency to overtake Bitcoin in terms of established market, even though this remains unpredictable. Bitcoin could also conceivably adopt improvements of a competing currency so long as it doesn’t change fundamental parts of the protocol. Could one entity buy all existing bitcoins? Is speculation and volatility a problem for Bitcoin? This is a chicken and egg situation. For bitcoin’s price to stabilize, a large scale economy needs to develop with more businesses and users. For a large scale economy to develop, businesses and users will seek price stability. Will Bitcoin fail in a deflationary spiral? Is the finite amount of Bitcoins a limitation? Bitcoin is unique in that only 21 million bitcoins will ever be created. However, this will never be a limitation because transactions can be denominated in smaller sub-units (fractions) of a bitcoin, such as bits – there are 1,000,000 bits in 1 bitcoin. Bitcoins can be divided up to 8 decimal places (0.00000001) and potentially even smaller units if that is ever required in the future as the average transaction size decreases. For example, unlike gold or silver, should the price of either skyrocket as to make one coin extremely valuable – you could not easily shave off or measure a small speck of gold as payment for a small price purchase. However, with Bitcoin, one could divide as small as necessary easily to determine the exact payment amount. Does Bitcoin unfairly benefit early adopters? Some early adopters have large numbers of bitcoins because they took risks and invested time and resources in an unproven technology that was hardly used by anyone and that was much harder to secure properly. Many early adopters spent large numbers of bitcoins quite a few times before they became valuable, or bought only small amounts and didn’t make huge gains. There is no guarantee that the price of a bitcoin will increase or drop. This is very similar to investing in an early startup that can either gain value through its usefulness and popularity, or just never break through. Bitcoin is still in its infancy, and it has been designed with a very long-term view; it is hard to imagine how it could be less biased towards early adopters, and today’s users may or may not be the early adopters of tomorrow. No. A Ponzi scheme is a fraudulent investment operation that pays returns to its investors from their own money, or the money paid by subsequent investors, instead of from profit earned by the individuals running the business. Ponzi schemes are designed to collapse at the expense of the last investors when there are not enough new participants. A fast rise in price does not constitute a bubble. An artificial over-valuation that will lead to a sudden downward correction constitutes a bubble. Choices based on individual human action by hundreds of thousands of market participants is the cause for bitcoin’s price to fluctuate as the market seeks price discovery. Reasons for changes in sentiment may include a loss of confidence in Bitcoin, a large difference between value and price not based on the fundamentals of the Bitcoin economy, increased press coverage stimulating speculative demand, fear of uncertainty, and old-fashioned irrational exuberance and greed. How are Bitcoins created and used? The “How Bitcoin Works Under the Hood” video (right) gets a little deep, and the first time I watched it, most of the content was “Greek” to me. However, after much research and pulling together the resources provided on this website – I watched it again, and it made so much more sense, thus I got a lot out of it and have included it here. You might want to come back to it if you’re a “newbie” to Bitcoin. Does consumer protection apply to Bitcoin? Bitcoin is freeing people to transact on their own terms. Each user can send and receive payments in a similar way to cash but they can also take part in more complex contracts. For example, multiple signatures allow a transaction to be accepted by the network only if a certain number of a defined group of persons agree to sign the transaction. This allows innovative dispute mediation services to be developed in the future. Such services could allow a third party to approve or reject a transaction in case of disagreement between the other parties without having control on their money. As opposed to cash and other payment methods, Bitcoin always leaves a public proof that a transaction did take place, which can potentially be used in a recourse against businesses with fraudulent practices. The IRS’ treatment of digital currency as property is a boon to taxpayers holding it as a long-term investment – that is, holding it for more than a year. This is so because when investing in or undergoing transactions in foreign currency, the gains are taxed at the ordinary income tax rate; whereas with digital currency treated as property, the taxpayer can benefit from the lower capital gains tax rate. Moreover, like any other commodity, if the digital currency loses value instead of making gains then the taxpayer can claim a capital loss, which would help lessen the tax bill. The character of gain or loss generally depends on whether the digital currency is a capital asset in the hands of the taxpayer. According to the IRS, if the taxpayer holds digital currency as capital – such as stocks or bonds or other investment property – gains or losses are realized as capital gains or losses. But where such currency is held as inventory or other property mainly for sale in a trade or business, then ordinary gains or losses are generally incurred. Taxpayers who obtain digital currency through mining must include the fair market value of the digital currency, as of the date of receipt, when reporting their gross income on tax returns. This creates an enormous task for frequent miners who have to go back and see what the values of the bitcoins were on the dates they were mined. If the mining activities make up a trade or business, and the miner is not an employee, then the net earnings resulting from the activities constitute self-employment income that’s subject to self-employment tax. Paying employee wages in digital currency are subject to federal and state income tax withholding, and by law should be reflected on both employers’ and employees’ tax returns. Such payments are required to be reported to the IRS on your business and payroll tax returns and must further be reflected on IRS Forms W-2 issued to each employee and filed with the IRS. In turn, the employee must report to the IRS and state tax authorities the wages he or she receives in digital currency on his or her personal tax returns. For each, the reported amounts – the wages reported paid or received and the payroll taxes withheld – will be calculated using the fair market value of the digital currency in US dollars on the date paid or received. Businesses paying independent contractors with digital currency must report amounts on Form 1099 – the document used to report other forms of income than wages or salaries – and supply the forms to tax authorities and their independent contractors. Like employees, independent contractors are taxed in the same manner as if the amounts were received in US dollars. They must report amounts received as income on their tax returns and pay self-employment tax. In regards to estate planning, experienced holders of bitcoin are aware of IRS Notice 2014-21. This notice states that for US tax purposes, bitcoin is to be treated as property rather than currency. The notice was, in all probability, issued with intent to slow down bitcoin adoption, and until bitcoin becomes mainstream to the point where the IRS recognizes it as a currency, these obvious consequences should be followed. If an employer pays you in bitcoin, such payments must be reported on your W2 and are subject to tax withholding in US dollars. In regards to estate planning. Since bitcoin is deemed to be property, when a bitcoin holder dies, beneficiaries of a will or living trust receive the bitcoin with tax basis at the fair market value on the date of death. For example, should you inherit 100 BTC from a relative, and on the date of death 1 BTC is worth $250 – if 1 BTC increases to $260 at the time it is later spent, the taxable gain would be $10 on the bitcoin use. If the relative paid only $150 for that bitcoin when it was acquired, that purchase price is irrelevant for tax purposes once the relative is deceased. If the initial price paid was much higher, this could be beneficial. For bitcoin that has increased in value since purchase, this could be a disaster. In the above scenario, if the relative had paid $1,000 for 1 BTC, upon spending a taxable gain of $10 would still be the case, because the only relevant factor is the fair market value on the relative’s date of death. An older individual holding bitcoin bought at a much higher rate than it is now worth, would be wise to hold onto it as long as you can so that your heirs might take advantage, and possibly eliminate all taxation of the gains on your investment. However, if you own bitcoin bought at a much lower rate than it is now worth, you might consider spending it and preserving your cash. Upon spending, you’ll recognize taxable losses (which may possibly result in a reduced overall tax bill) and you’ll avoid your tax basis being stepped down upon death. It is also important to ensure your heirs are aware that you have bitcoin, either by informing them or putting in place a service, person, attorney, etc. that would inform them upon your death. The anonymous nature of bitcoin means that if your heirs are not aware – your bitcoin will die with you. Without your private key (or in the case of a hosted walled like Coinbase or Circle, your username/password), your executor will be totally powerless to distribute your bitcoin under the terms of your will. It might be wise to keep this information in your safety deposit box, or safe. Also, any power of attorney document must explicitly allow your agent to access either your bitcoin specifically, or your digital assets broadly. Same as your executor, your agent under your power of attorney is going to need access to your private key or login info. Furthermore, be aware of the Prudent Investor Act enacted on some level by most states, which requires that executors and trustees diversify investments. Should you hold a large amount of bitcoin, upon your death there is a argument that under the Act the bitcoin would be considered an “investment” rather than cash, and a volatile one at that. Such a classification could mean that an executor or trustee may be required under the Act to sell your bitcoin and diversify into traditional securities. This may not be what you wish to happen, and the Prudent Investor Act generally allows itself to be explicitly overridden. If you want your executor or trustee to have the power to hold your bitcoin long-term, including a specific provision in your will or trust absolving him from any liability for failure to diversify bitcoin should be considered. Any disposition of digital currency is a taxable event, including the use of digital currency such as Bitcoin to acquire an asset, pay for services, use for retail transactions and investments where the goods are received or investment has a higher value than the payor’s basis in the digital currency. Payments made using digital currency are subject to the same tax reporting and backup withholding as other payments made in property. What happens if a person or business receives more than $10K in one or a series of transactions to an individual? For example, does an antique dealer have to report an antique dining set purchased with bitcoins? According to the IRS, any person or business that receives more than $10K in one or a series of transactions must identify the person involved via Form 8300, but digital currencies such as Bitcoin are not recognized as currencies by the IRS – so does this rule apply? Every individual or business should consult with their tax advisors regarding the implications of their specific Bitcoin or other digital currency transactions – and you should track your digital currency purchases appropriately. Can or will Bitcoin be regulated? The Bitcoin protocol itself cannot be modified without the cooperation of nearly all its users, who choose what software they use. Attempting to assign special rights to a local authority in the rules of the global Bitcoin network – peer-to-peer cryptocurrency – does not seem practical or possible. Of course, a very wealthy organization could conceivably invest in enough mining hardware to control half of the computing power of the network, and gain the ability to block or reverse recent transactions. But there is no guarantee they could retain this power, because the requirement would be to invest as much as all other miners in the world. Is it possible to regulate the use of Bitcoin, like the dollar? Bitcoin can be used for a wide variety of purposes, and in this regard, it is no different than any other tool or resource, so it could be subjected to different regulations in each country. Bitcoin use could also be made difficult by restrictive regulations, which might hinder the continued use of Bitcoin technology. If governments ban Bitcoin and prevent domestic businesses and markets from emerging, it would probably shift innovation to other countries that didn’t ban Bitcoin. In 2016, there was a lot of discussion in the USA regarding regulation of virtual currencies, and some states have released their own policies – each one handling regulation differently. It seems that first, Bitcoin has to be deemed to be either a commodity or a form of currency. If the challenge for regulators is to develop efficient solutions, while not impairing the growth of new emerging markets and businesses, then they must first decide what Bitcoin is to be. One thing is certain, growing interest in Bitcoin has regulators looking to try and apply law to this decentralized protocol. Such policies would most likely affect only those Bitcoin users who employ traditional banking avenues for their digital currency use. It seems that governments can’t actually “regulate” Bitcoin, and will more likely try to manipulate current financial system rules to monetize use of it – but they cannot stop Bitcoin. It seems only “users” of Bitcoin could do that? It’s difficult to regulate a technology not yet fully understood. The challenge is that most regulations today are defined by known products they are meant to regulate. The recent rise in use of Bitcoin seems to have pressured governments to do something, even if they don’t fully understand what is happening – and regulation of digital currency that isn’t elaborated carefully and well-informed, could easily hinder the future of new technologies. Regulations – on any scale – have to be enforceable. Bitcoin (and all other cryptocurrencies) are completely decentralized peer-to-peer systems – so there is no server to shut down, no ringleader to capture, no one to prosecute or cause the currencies to dissolve. Regulating or outlawing Bitcoin would really just restrict legitimate businesses and individuals from taking advantage of Bitcoin’s speed, low costs, flexibility, anonymity – and drive criminals underground. If anonymous exchanges didn’t exist, bitcoin could still be traded privately person-to-person, and nothing could prevent fully anonymous Deep Web exchanges and similar services. The only thing conventional regulations – such as mandatory data collection – would ensure is that honest individuals would have to jump through more hoops, and sacrifice even more privacy. Those governments that take a more laid back approach are the ones likely to benefit most from a bitcoin-fuelled financial revolution – even if we don’t know exactly what that will look like. It would be sensible to set standards for security in public businesses that store or facilitate bitcoin conversions or escrow. Regulations that make it illegal for such a business to move, invest, or otherwise use customer funds without explicitly stating this to customers, who have the right to take their own risks with their investments, would be a good thing. Requiring bitcoin-related companies to maintain good reserves of bitcoin, and publicly publish their balance sheets, would give customers more peace of mind. Make companies liable for their customer’s funds, and if lost, be paid to them personally or to an existing offline wallet linked to a customer account – that would be good. There are regulations that would increase legitimacy, confidence and user protection without affecting innovation in a negative manner. It is fascinating to be involved – even on a small scale – to watch the cryptocurrency ecosystem evolve so quickly that government regulators can’t keep up, let alone control or plan what to do in advance. This new technology has no precedent, and requires a whole new way of thinking and flexibility – not something usually equated with government regulators. Isn’t Bitcoin used for illegal activities? Money has always been used both for legal and illegal purposes – Bitcoin is no different. Cash, credit cards and banking systems have a far longer and more sorted history in terms of their use in criminal activity. Criminals use any and every means at their disposal to commit crime. Bitcoin could in fact act to provide significant protection against many forms of financial crime. For example, bitcoins are completely impossible to counterfeit. Users are in full control of their payments and cannot receive unapproved charges which is the case frequently and constitutes credit card fraud. Bitcoin transactions are irreversible and cannot be fraudulently charged back. Bitcoin can be secured against theft and loss using very strong and useful tools such as backups, encryption, and multiple signatures. There has been a lot of talk about Bitcoin being more attractive to criminals because of private and irreversible payments. But doesn’t this already exist with cash and wire transfer? It was recently reported that terrorists used Bitcoin to fund attacks – when in reality the Europol (EU law enforcement agency) has published findings that point to “prepaid cards” being the biggest culprit used by terrorists – an industry that was projected by MasterCard to be over $820 billion in 2017, if not larger. Fact is, the public blockchain can be used to show when a specific person used bitcoin to make an online purchase. Bitcoin companies have amazing visibility which could be very beneficial to law enforcement. But oddly enough, these same bitcoin companies are often criticized for being able to visualize transactions so well. Banking customers are already performing criminal activities on a much larger scale, but banks are unable to make such a direct link between the bank and their customers most of the time. They are, as a result, delusional in believing that the problem doesn’t exist for them – but that it does for Bitcoin. Banking leaders act as though bitcoin has inherent qualities or characteristics that make it more prone for criminal use. It doesn’t. Criminals will always find a way to use whatever means are at hand to conduct illicit activities. Using that as a reason not to support or adopt Bitcoin is unfounded. Banks, on the other hand, wield a great deal of power and – in my opinion – do not work for the “greater good” of society in general. So, it isn’t really hard to see why Bitcoin isn’t embraced by the banking industry – or governments, for that matter. A new currency they will never control, that appreciates at a value they do not determine, and on which there appears to be no way they can make money? Right. Banks can’t put a customer’s Bitcoin transactions on a public blockchain, so the bank would have to build one themselves, develop it, test it, pass legal muster, etc. – not great incentive to do all of that, is there? Customer demand will have to dictate that level of action on the part of the banks, and the smaller banks will probably be first to do so. Creation of such a competitive edge could work to force major banks to follow suit – but Bitcoin has to go mainstream first, and acceptance by major retailers is a good start. Then we must ask ourselves, if banks did jump on board…why would we use a bank for our Bitcoin when we don’t have to? Interesting. And one reason why I, personally, am interested in Bitcoin. There is a lot of information on this subject available online, and the legality of bitcoin depends on who you are, and what activities are involved. Three categories of bitcoin users exists, more than one may apply to an individual, and each one has somewhat different legal considerations. These are individuals that acquire bitcoins to either hold or spend (use). Under the Financial Crimes Enforcement Network (FinCEN) guidance, individual users who simply exchange bitcoins for goods and services are using it legally. According to FinCEN guidance, people creating bitcoins and exchanging them for fiat currency, there appears to be a good amount of uncertainty. While the above could put most bitcoin miners more at ease, it isn’t clear if mining pools or services would be seen differently. This isn’t a formal FinCEN opinion, and it could change in the future. Depending on your activity involving bitcoin, you should investigate the legal implications. More information can be found here: FinCEN website. Is Bitcoin scalable to become a major payment network? There is a lot of debate on this subject, and I’ve done a good deal of research on it but do not feel confident in my own understanding yet to deliver much in the way of explanation. Therefore, I am posting the following resources for your own due diligence regarding Bitcoin’s scaling debate. Additional sources will be added as I run across reliable information. What happens if Bitcoins are lost? Is Bitcoin virtual and immaterial? Bitcoin, although it is completely digital, it functions similarly to the credit cards and online banking networks used everyday. Bitcoin can be used, where accepted, to pay online and brick-and-mortar stores just like any other form of currency. Bitcoins can be exchanged in physical form using a Casascius coin. These coins are embedded with digital bitcoins and a ‘key’ that enables the user to send them directly to their bitcoin wallet. However, paying using a mobile phone or computer is way more convenient. Putting bitcoin into an actual physical form defeats the entire purpose. Bitcoin balances are stored in a large distributed network, and they cannot be fraudulently altered by anybody. In other words, Bitcoin users have exclusive control over their funds, and bitcoins cannot vanish just because they are virtual. The fear most people have – and one I shared until I educated myself – is that your bitcoins could become hacked or stolen, as we’ve all heard about in the news. There are two different concerns: hack (an exploit of the system) or theft (stolen or lost possession). The infamous MtGox 2011 bitcoin hack occurred when an attacker with a Hong Kong IP address compromised an account on the MtGox site and a massive number of bitcoins were stolen. Later the thief filled the market with those stolen bitcoins and the value of a single Bitcoin dropped. The hackers themselves didn’t make a profit at all; their attempts to withdraw the stolen money was stopped by MtGox’s $1000 per day withdrawal limit. Ironically, this incident actually proves bitcoins are neither unreal nor immaterial, but rather “non-physical” with a value. There is much to investigate regarding whether bitcoin is a sound investment – and you’ll find loads of information from both sides of that aisle. So my only advice is to do your own investigation to determine if buying bitcoin is for you. This site, and these resources, exist solely to help you do just that. As far as I’m concerned, I have no intention of putting all my wealth into bitcoin. However, the money I’d normally blow on ridiculous things I have no need for, I’ll roll into bitcoin and ride this tide to see how far it goes. One would have to say that a lot of the trust in Bitcoin is due to the fact that bitcoin requires no trust at all. Bitcoin is fully open-source and decentralized, so anyone has access to the entire source code. Any developer has the power to verify exactly how Bitcoin works, and all transactions and bitcoins issued from the beginning can be accessed in real-time by anyone. All payments can be made without involvement of a third party, and the entire system is protected by massive, peer-reviewed cryptographic algorithms – on a level of those used for online banking. 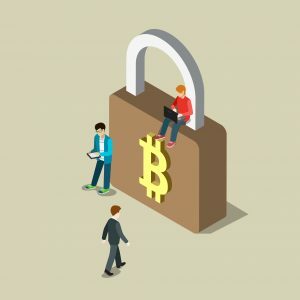 No organization or individual can control Bitcoin, and the network remains secure – even though not all users can be trusted, and not all users are diligent about their own security. Its a faster way to buy and sell. You pay by check, it goes to your bank, then to the bank on which it is drawn, then back to your bank and is often held for several days – because the bank can’t trust that funds are actually available. Every try to send your money from PayPal to your bank? 3 to 5 days is what it takes. Wire transfers can take a good bit of time also. Bitcoin transactions are generally far faster, usually around 10 minutes if the transaction is confirmed, seconds with “zero-confirmation”, and nobody holds your money for days on end. What happened in Cyprus in March 2013 is a good example of why many are bitcoin users. The Central Bank wanted to take back uninsured deposits larger than $100,000 to assist in recapitalization, causing massive unrest of the local population. It originally wanted to take a percentage of deposits even smaller, that would have directly affected individual family savings. Such an action is not possible with bitcoin because bitcoin is decentralized, and only you own it. No central authority has control, and so it cannot be taken away from you by any entity. For those who find their trust in the traditional banking system has evaporated, that’s a big reason to put their trust in bitcoin. Another big reason: identity thieves cannot steal your payment information from online merchants. Online purchase forms require entry of all your secret information (account number, expiration date, security code) – and a web form is the least secure way to conduct online purchases because credit cards were never intended to be used online. They are insecure. Bitcoin transactions require you to give up zero secret information. They use two keys, a public key and your private one – and you never have to enter or give up your private key for any reason. Bitcoin can be as private as you need or want it to be. No one knows who holds a particular bitcoin address – so no one can ever know how much bitcoin you have unless you tell them. Everyone worries about inflation, because governments can print money like…well, like they do – need more money to pay the national debt?! Just have the Federal Reserve print more. Meanwhile, we watch the value of a currency decrease. Bitcoin has a finite number of coins that will be generated – 21 million. After that, the number of bitcoins will cease to grow, so inflation will not occur. Deflation, where the cost of goods and services fall – is far more likely in the bitcoin world. You own your bitcoin – no bank or cash system is involved. For example: PayPal can freeze your account for any number of reasons, without even notifying you. At which point, it is up to you to wade through the redtape required to clear up the issue and access your funds, and it could take months. There is no such danger with bitcoin. You own the private key and the corresponding public key that makes up a bitcoin address and it cannot be taken away from you. You can lose it, or host it with an online service that loses it for you – but that’s on you for not properly securing your bitcoin. It cannot be taken from you. You have to trust people to handle and secure your money properly using conventional banking systems, such as your bank or your payment gateway processor – not to mention the merchant you do business with. Sensitive, important, private bits of information are demanded by these entities in the course of doing business or banking your money. Bitcoin is completely decentralized, therefore you have to trust no one when using it. You send a transaction (pay someone), it is digitally signed, and secure. An unknown miner verifies it, and the transaction is completed. You don’t have to even reveal who you are to the merchant, let alone give him your private financial data. With bitcoin, you can – and are encouraged to – create your own money. You can mine your own bitcoin if you have enough computing power to do so. Yes, it can be expensive to get started now – but if your so inclined to mine bitcoin, after the initial investment in equipment and electricity is covered, the software does the work while you sleep. While I am buying Bitcoin, I am very much aware of the current pitfalls of doing so. I personally buy only the amount of Bitcoin that I could afford to completely lose – and I am acquiring Bitcoin for the long haul…not for a “get rick quick” plan. That said, I think these disadvantages will be resolved in time, as have most issues that involve new technology. I have been a consultant for clients since the Internet was first available, and I well remember how many of my clients could not envision how in the world they would ever sell products over the web! Today – every single client I have sells either goods or services online and wouldn’t dream of not doing so. That took about 10 years to be widely accepted, and about 15 years to become a critical way of doing business. Because the Internet has matured, as have mobile technologies and applications – I don’t think it will take nearly as long for Bitcoin to become mainstream, and I feel the time is now to begin slowly acquiring it. Degree of acceptance – Many people are still unaware of Bitcoin, and they are still accepted by a small – but growing – group of online merchants. Every day, more businesses accept bitcoins because they want the advantages of doing so, but this makes it unfeasible to completely rely on Bitcoins as a sole currency. Volatility – The total value of bitcoins in circulation and the number of businesses using Bitcoin are still very small compared to what they could be. Therefore, relatively small events, trades, or business activities can significantly affect the price. This constant fluctuation will cause merchants that accept bitcoin to continually change prices. It will also generate confusion regarding refunds. For example, if an item was initially bought for 0.003 BTC, and returned a week later, should 0.003 BTC be refunded, even though the valuation may have gone up, or should the new current amount be refunded? Important questions that need to be addressed. In theory, this volatility will decrease as Bitcoin markets and the technology matures. Never before has the world seen a start-up currency, so it is at the same time, both difficult and exciting to watch as this new technology grows. Technical Flaws and Deflation – Bitcoin software is still in beta with many incomplete features in active development. New tools, features, and services are being developed to make Bitcoin more secure and accessible to the masses. Some of these are still not ready for everyone. Most Bitcoin businesses are new and still offer no insurance. In general, Bitcoin is still in the process of maturing. The total number of bitcoins is finite, and thus will cause deflation because an individual bitcoin will be worth more and more as the total number reaches the maximum. This system is designed to reward early adopters. A bitcoin will be valued higher with each passing day, so knowing when to spend would become important, and may spur spending surges which will cause the Bitcoin economy to fluctuate very rapidly, and unpredictably. Payment freedom – It is possible to send and receive bitcoins anywhere in the world at any time. No bank holidays, borders, bureaucracy. Bitcoin allows its users to be in full control of their money, and there can be no third-party seizure of bitcoins. Governments cannot freeze your bitcoin, and you have complete freedom to do anything you want with your money. There is also no way for a third party to intercept bitcoin transactions, thus no viable way to implement a bitcoin taxation system. Unless users publicize a wallet address, no one can trace transactions back to them. No one, other than you, will know how many bitcoins you have. And should a wallet address be publicized, a new second wallet address can easily be generated and used for the bulk of your transactions. Compared to traditional currency systems, this greatly increases privacy and eliminates the ability for third parties to have access to personal financial data. Low Transaction Costs – There is no fee to receive bitcoins, and many wallets let you control how large a fee to pay when spending. A higher fee will help ensure faster confirmation of your transactions. Fees are unrelated to the amount transferred, so sending 100,000 bitcoins costs the same as sending 1 bitcoin. Additionally, merchant processors assist merchants in processing transactions, converting bitcoins to fiat currency and depositing funds directly into merchants’ bank accounts daily. These services are offered for much lower fees than if you use a PayPal account, or credit card merchant networks. To send and receive bitcoins, users need to connect to bitcoin services that are connected to other nodes. By using bitcoins, users contribute to this network and therefore share the burden of authorizing transactions – thus making transaction costs negligible. Fewer risks for merchants – Bitcoin transactions are secure, irreversible, and do not contain customers’ sensitive or personal information. This protects merchants from losses caused by fraud or fraudulent chargebacks, and there is no need for PCI compliance to accept bitcoin online. Merchants can sell to customers living in areas where either credit cards are not available, or fraud rates are dangerously higher. So – lower fees, larger markets, and fewer admin costs. Security and control – Bitcoin users are in full control of their transactions; it is impossible for merchants to force unwanted or unnoticed charges as can happen with other payment methods, such as credit cards or paypal accounts. Bitcoin payments can be conducted without the need to include personal information in the transaction. This offers strong protection against identity theft. Bitcoin users protect their money with backup and encryption, and no other entity controls or possesses that information. Once bitcoins are sent, the transaction cannot be reversed. This reduces the risk of “chargebacks” for online merchants as the result of fraudulent claims. Bitcoins cannot be stolen. No one can steal your bitcoins unless they have physical access to your computer, your secret authorization codes, and they send the bitcoins to their account. Unlike conventitional currency systems, where only a few authentication details are required to gain access to finances, bitcoin systems require physical access, which makes it much harder to access and steal. Despite the disadvantages due in part to the “newness” of bitcoin, and because of the advantages that already exist – I feel the need to give serious consideration to the viability of BitCoins, because of its potential to provide cost-free, aggregate risk protection. How do you make a Bitcoin payment? Bitcoin payments are easier to make than debit or credit card purchases, and can be received without a merchant account. Payments are made from a wallet application – like Coinbase, either on your computer or smartphone, by entering the recipient’s address, the payment amount, and pressing send. To make it easier to enter a recipient’s address, many wallets can obtain the address by scanning a QR code or touching two phones together with NFC technology. This has proven to be the most challenging for me personally – because I live in rural Missouri and still have a RR (rural route) home address. Most online purchasing options flatly refuse to accept that my address is in fact “physical” and all options to use credit or debit cards fail and throw the “post office box addresses are not permitted” error. For this reason, I have to use bank wire transfer method to purchase bitcoin, and it takes 5 business days to receive the bitcoin. I selected Coinbase.com as my preferred wallet for purchasing and transferring bitcoin, because it seems to be the most reliable and it is easy to use. However, I also setup a Blockchain.info account to use for holding bitcoin for a variety of reasons. Sign up for an online service – such as Coinbase to create a secure place to store your bitcoin, as well as easy payment methods to convert your local currency into or out of bitcoin. Connect your funding source – after signing up, connected either your bank account, PayPal account, or credit card to use as a funding source for buying bitcoin. Buy and sell bitcoin – Create a purchase of the amount of Bitcoin desired, and Coinbase will complete your buy and deliver your bitcoin. Sale of Bitcoin works the same, but in reverse. The price of bitcoin changes over time, so you’ll be shown the current exchange rate before you buy. Before you start using Bitcoin, here are a few things you need to know in order to use it securely and avoid common mistakes and pitfalls. Bitcoins are impossible to counterfeit or inflate. You can use them to send or receive any amount of money – the smallest fraction of a bitcoin, with anyone, anywhere in the world, at very low cost. Bitcoin payments are impossible to block, and bitcoin wallets can’t be frozen. With Bitcoin you can directly control the money yourself without going through a third party like a bank or Paypal. Bitcoin transactions cannot be reversed or refunded. You should only deal with businesses or people you trust. To be valid, a Bitcoin transaction must be confirmed at least once but preferrably 6+ times before it has happened and becomes irreversible. Bitcoin is not anonymous but there is tumbling. Bitcoin tumbling, also referred to as Bitcoin mixing or Bitcoin laundering, is the process of using a third party service to break the connection between a Bitcoin address sending coins and the address(s) they are sent to. All Bitcoin transactions are stored publicly and permanently on the network, which means anyone can see the balance and transactions of any Bitcoin address. You can get bitcoins by accepting them as a payment for goods and services; or by buying them from a friend or someone you know. You can also buy them directly from an exchange with your bank account. There is a growing number of services and merchants accepting Bitcoin worldwide – recently, you can even pay your Dish Network monthly bill with bitcoin. You can use Bitcoin to pay those that accept it, and rate your experience to help honest businesses to gain more visibility. The Bitcoin industry is always changing and there are a ton of Bitcoin news services to help you stay up to date on the latests trends, prices, etc. Online bitcoin wallets. Wallets that can be accessed on the web from any internet connected device. Bitcoin hardware wallets. Physical devices designed to secure bitcoins. Software wallets. Wallet applications downloaded to your phone, computer or tablet. I setup a bitcoin online wallet at Coinbase – I also setup a bitcoin wallet at Blockchain. Why two wallets? Because I learned that with Coinbase and other similar services, you rely on that service to give you the funds, because you don’t hold the private keys from the address. With Blockchain, you hold the private keys, so the bitcoins can be controlled only by you. Since there is a need for services offered by Coinbase – I setup a free account using both. When I buy bitcoin through Coinbase, which I do because the rates are more reasonable and it is reputable, I immediately transfer them to my Blockchain wallet if not elsewhere. Buy on Coinbase – store on Blockchain and get the best of both services. Blockchain pay-by-email and link to bank account is available, but merchant services are not provided. In Blockchain, bitcoin cannot be purchased. Safe and secure, reputable website that grants 100% security to your Bitcoin transactions. Easy to website user interface. Can be used on your Phone for their first-class services. Easy login to your account. It is kind of the “PayPal of bitcoin”, so transactions are easy. Merchant services are provided, for those of us with websites on which we want to accept bitcoin as a payment method. Coinbase interfacing is not as smooth as Blockchain is considered to be – but I find this difference to be insignificant. Coinbase has weaker security as compared to BlockChain. Coinbase more likely to get hacked than Blockchain. Coinbase does not recognize rural route addresses for using credit or debit cards. I know, not many of us left that have this concern, but including it as a con. Blockchain.info sets up a wallet client-side and you control the private keys directly. Whereas Coinbase stores the bitcoins for you, and most are stored in cold wallets – meaning the only amount kept on the server is the amount needed to cover anticipated withdrawals. With blockchain.info, you are required to make sure you have an absolutely secure password and you can maintain a secondary password also. If you use gmail or another webmail service, you can enable 2-factor authorization for your electronic mail, so wallet backups could be sent to your email. With Coinbase, you’re trusting that Coinbase has provided significant security for you rather than managing the security yourself. So, you definitely want to enable 2-factor authorization. The major concern is that if Coinbase got hacked, you do not have control of the funds. If Blockchain.info got hacked, your bitcoin is as safe as you’ve configured your wallet account to be using the tools they provide. Whoever has the private key for a bitcoin address owns the coin balance associated with that address. Coinbase works just like a bank – they own the bitcoins, they worry about security, and your account balance represents a promise from them that they owe you that many bitcoins. You take on counter-party risk when you give your bitcoins to Coinbase, because if something goes wrong, or they get hacked, Coinbase could disappear with your coins. If you control your own wallet application, either in the cloud (like Blockchain.info) or on your own computer, only you have access to your private key, and you own the bitcoins and you are responsible for key security. I liked this because there is no counter-party risk. A potential downside of being responsible for your own security is concern that permit access to your private key, in which case your bitcoins will be immediately stolen. So it is important to understand and safeguard your private keys. Coinbase offers the opportunity to buy and sell bitcoins – Blockchain.info does not. It is a good practice to purchase bitcoin with Coinbase, and immediate transfer bitcoin to Blockchain, for better security. Some use paper wallets, and print out their private keys, safeguarding the paper and deleting all digital copies. You do this, and your bitcoins cannot be hacked or stolen. Secure wallets like paper wallets or hardware wallets can be used as “savings” wallets, while mobile, web, and desktop wallets should be treated like your spending wallet. Create multiple backups of your wallets or private keys and access codes or recovery codes. Backups should be kept in separate physical locations in the case of fire or water damage. Paper wallets can be laminated or written in metal for extra protection. Is Bitcoin really used, and who uses it? Yes. A growing number of businesses, corporations and individuals using Bitcoin are taking over the crypto-currency marketplace and cashing in on new technology. This includes brick and mortar businesses like restaurants, apartments, law firms, and popular online services such as Namecheap, WordPress, Dish Network, and Reddit. While Bitcoin remains a relatively new phenomenon, it is growing fast. Bitcoin ATMs are physical machines that allow you to deposit fiat money (i.e. dollars, euros, etc.) and withdraw Bitcoins which you deposit into your wallet. Bitcoin ATMs take a commission from the exchange which varies from company to company. There are currently 624 ATMs installed in the USA, and 146 in Canada. Click here to learn more and review the latest statistics on Bitcoin ATMs. Namecheap, a website for domain names. And many more! See a much larger list here. 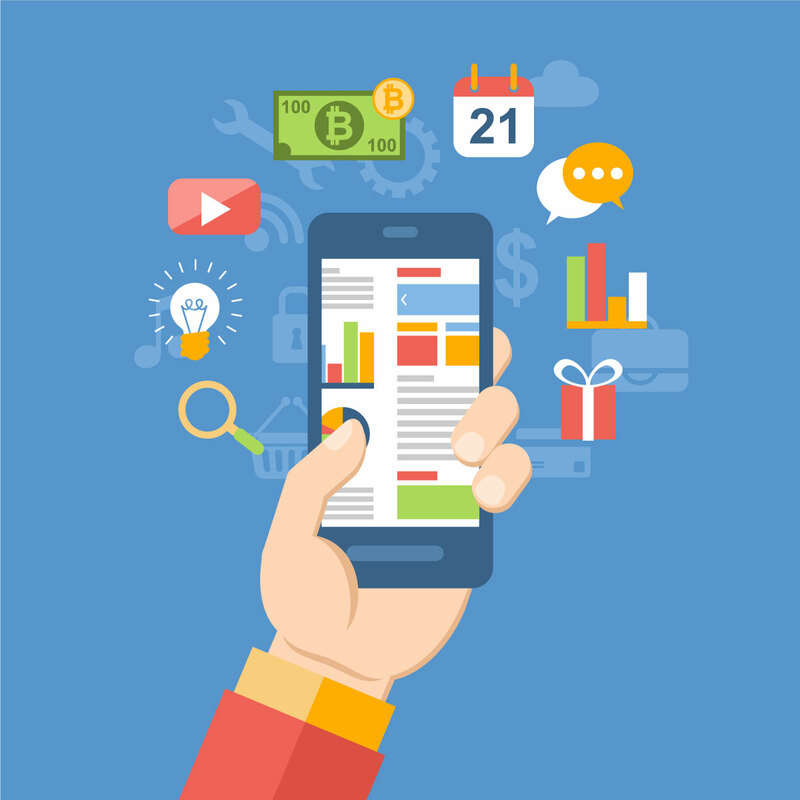 Bitcoin is simply a mobile app or computer program that provides a personal Bitcoin wallet, allowing a user to send and receive bitcoins. This is how Bitcoin works for most users. But on the backend, the Bitcoin network records what is essentially a public ledger called the “block chain”. This ledger contains every transaction ever processed, allowing a user’s computer to verify the validity of each transaction. The authenticity of each transaction is protected by digital signatures corresponding to the sending addresses, allowing all users full control over sending and receiving bitcoins from their own unique Bitcoin addresses – much like an email address. Additionally, anyone can process transactions using the computing power of specialized hardware to earn bitcoins in return. This is called “bitcoin mining”. No one person or entity or government owns the Bitcoin network. Just as no one person owns the Internet, or email, or the technology that drives it. Bitcoin is controlled by all the worldwide Bitcoin users. Developers do work to improve and secure the software, however forcing a change Bitcoin to protocol is not within their capability, because bitcoin users are free to select whatever software and version they use. All users need to use compliant software (same rules) in order to transact with each other. Bitcoin can only work as it is intended with a complete peer-to-peer consensus among all users. For this reason there is a strong incentive for all developers and bitcoin users to protect this consensus. No one person is in control – rather the entire bitcoin community decides on any changes to be adopted. The Bitcoin source code is readily available to anyone, and anyone can become a bitcoin miner (people that make transactions permanent), just as anyone can be a bitcoin trader (people that determine the price of Bitcoin and provide liquidity by buying and selling it, i.e. participating in the market). Click image above to view the original release of Satoshi Nakamoto’s white paper, revealing his idea for a purely peer-to-peer version of electronic cash to the world. In his vision, he manages to solve the problem of money being copied, providing a vital foundation for Bitcoin to grow legitimately. Bitcoin is the first decentralized peer-to-peer payment network powered 100% by its users without the involvement of a central authority or middlemen. For the average user, Bitcoin could be considered to be “cash for the Internet”, and is considered to be the most prominent, triple-entry bookkeeping system in existence. Bitcoin is a form of digital currency, created and held electronically – with regulation unit generation dictated by encryption techniques. No one controls it. Bitcoins are not printed, like dollars or euros – but rather they are produced by actual people, and increasingly businesses, running computers all around the world, using software that solves mathematical problems. When you pay for something with bitcoin, or get paid with bitcoin, your transaction is recorded on the ledger, or blockchain. Computers then compete to confirm the transaction by solving complex mathematical equations, and the winner is rewarded with more bitcoins – which is known as “mining”.